No matter the age or the occasion, Los Angeles has something for everyone. The best stories are where the most memorable and amazing things happen. Our lives are best remembered through stories and the journey that creates these experiences. Whether you’re looking for adventure, entertainment, or time with the family, Los Angeles is a city of endless exploration. Make your day unbelievable with a kayaking trip along the coast or find trend-setting art and fashion scenes. From action to romance, you can enjoy free activities, visit world famous attractions, and celebrate the city’s cultural diversity. Create your next story with a trip to Los Angeles and explore an amazing and dynamic city where you can always discover something new. Whats your L.A. story? 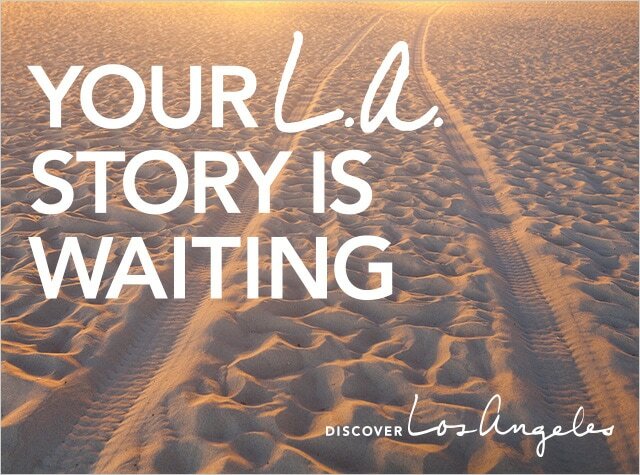 To find more information on creating your next adventure visit http://www.discoverlosangeles.com.